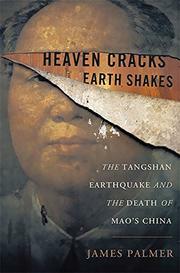 A compressed, fast-moving survey of the waning rule of Mao Zedong, precipitated by the horrendous Tangshan earthquake of 1976. Beijing-based author Palmer (The Bloody White Baron: The Extraordinary Story of the Russian Nobleman Who Became the Last Khan of Mongolia, 2009) efficiently lays out the devastation wrought by 10 years of the Cultural Revolution, and how over the space of a few months the Chinese people managed to rebound and move forward. The year was scarred irrevocably by three events: the death in January of the people’s beloved prime minister Zhou Enlai; the earthquake in Tangshan, which had been predicted several days before yet warnings ignored, flattening the coal-mining town in the space of 23 seconds and killing more than 650,000 people; and Mao’s death in September, which set off a power struggle between the Gang of Four, led by Mao’s widow, Jiang Qing, and the supporters of Deng Xiaoping. Palmer, who speaks Mandarin, conducted extensive interviews with survivors of the era and portrays the state of utter exhaustion and anguish experienced by the Chinese at this late point in the Communist tragedy. The death of Zhou, and the regime’s slight to his memory as perceived by the people in party messages and signs, enraged them, arousing the spark of resistance in demonstrations in Tiananmen Square to vent their grief and anger. Further, in the wake of the earthquake’s devastation, the people were essentially left to their own survival devices, the actual tragedy covered up and their own grief betrayed. Eventually the darkening public mood would find its scapegoat in the Gang of Four. A riveting précis of the fatal weaknesses in Mao’s dictatorship.